Baccarat is a wonderfully simple game enjoyed all over the world, particularly by the high rollers in Asia. The aim is to bet that one of two hands will get close to 9- either the Bank or the Player. You can also bet on a tie, although the odds for this is terrible so best avoided. 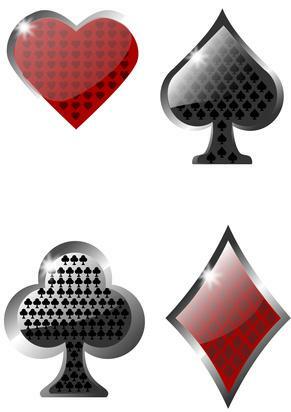 The values are worked out on the ranks of the cards for the initial 2 card hands and depending on fixed scenarios third cards are often drawn. As with many games throughout the years, new variants have been created to add greater excitement and accessibility for players, and baccarat is no different. Here you can find a brief explanation on Mini Baccarat, or Punto Banco as it is often known, and Chemin De Fer, two of the most popular alternative baccarat games. Side bets and progressive jackpots are a favourite of any casino as they provide tempting yet flawed offers for players, so these are looked at along with why they should be avoided. Finally as online games have grown in popularity I have given mention to these and what a baccarat player can expect from an online casino in the modern era. In the high limit tables of live casinos you will often find baccarat dealt over large tables with 12-14 players and 3 dealers controlling the action and pay-outs. Mini Baccarat is simply a smaller scale of the original game, popular in US casinos due to the speed and accessibility of the game. This game usually has one dealer who handles all the responsibilities at the table, including the actual dealing and handling of cards which players do on the big table game. The table holds fewer players, it can even be played by a single player, and is generally spread over lower limits. Other than this the game plays out the same way as the big table game with odds unaffected. This is the most common form of the game found online. This French variation tends to be dealt using 6 decks of cards on a big table and sees players actively bet against each other. The player that is dealing the cards becomes the ‘banker’ and the other players at the table are the ‘punters’. The banker then places a wager down which is the maximum he is willing to risk per bet and he is obliged to match all punter’s bets to this amount. Action then going around the table clockwise, with players choosing how much they wish to bet against the banker without exceeding his limit. The first player with the highest bet acts on behalf of all other punters. The banker deals out two hands face down, one for himself and one for the player’s representative. If a natural 8 or 9 is dealt, this is announced and the hands are compared to determine the winner. If this is not the case then the player and the banker both have the option to draw a 3rd card. Despite there being no rules in place, as in traditional baccarat, the draws patterns will be fairly similar, due in part to it being the correct mathematical choice and, particularly for the player, the fact he has other people’s money riding on his choice. The winning hand is then determined and paid out, minus the 5% commission to the house from bankers bets as normal. A slight twist on these rules may find the banker wagering the total amount he is willing to risk. Here players can bet up to the full bank, or whatever remains, when at their turn they declare an intention to “go bank”. After the banks limit is reached no further bets can be taken, although if the bankers bet is not matched by all the players, observers have a chance to bet until the bank is fully matched. In both variants when the banker loses the shoe is passed clockwise around the table to the next player willing to take on responsibility for the bank. Both Progressive Baccarat and Super Bacc require you to place an additional side bet or ante before the hands are dealt. With these games you have two opportunities to win - you can either win by choosing the correct hand or win by the rules applicable to the side bet. Progressive jackpot games let you win some or the full amount of the jackpot based on the value of your hand while Super Bacc gives qualifying players an additional pay-out from the house. Both of these games have slightly different rules depending on where you play them, which you should check with your casino. Unfortunately these type of side bets are terrible for the players and really increase the house advantage. In order to maintain a low house edge you are best off staying away from any game with a side bet, unless you are happy to play such games purely for entertainment knowing you will lose your money faster. If you are planning a trip to a casino which you know spread a different twist on baccarat there is no better way to learn the game than playing online. You can privately get a feel for the games and experiment with different betting ideas and strategies if you wish for pennies and without the feeling others are questioning you. If you have a smartphone you can even download some excellent apps allowing to play anywhere you like. You may also just enjoy playing online like many all over the world do every day. Not only are there some great rooms out there with top notch software, you can now get the full casino experience by playing with live dealers, who deal out real cards in front of you. 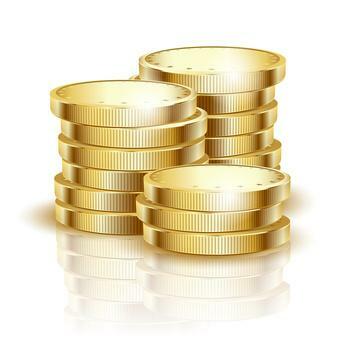 I always choose PlayTech casinos for table games (including Baccarat), you'll see the difference as soon as you play. I recommend the big UK brand BGO as your starting point, check them out at www.bgo.com now!